In March, 24 Year 11 students took the opportunity to visit the University of Oxford at the invitation of two former Kingsburians, Amro Nagdy and Sahar Abas, who are currently undergraduates at the institution. Oxford is ranked at the top of The Times Good University Guide in the UK and is in the top five of the World University League Tables for the “high quality of its resources, teaching and research”. Amro Nagdy is reading PPE (Philosophy, Politics and Economics) at Trinity College, and Sahar Abas is reading Law (Jurisprudence) at Christ Church. 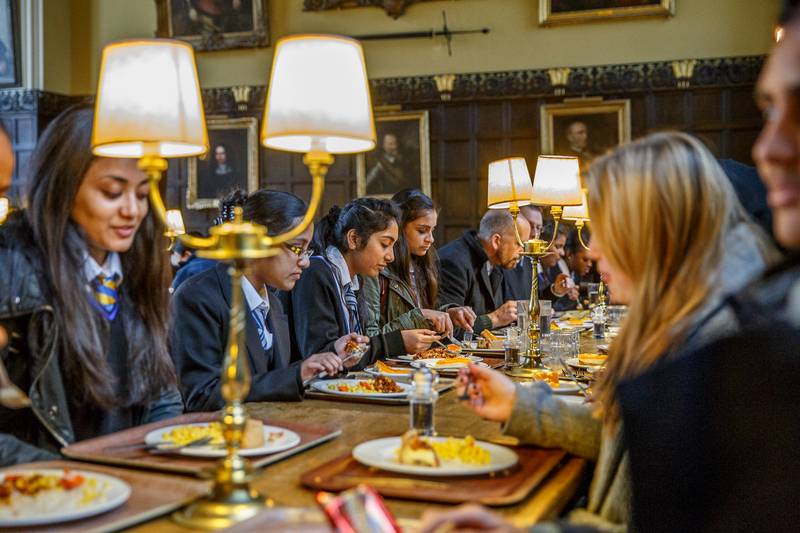 The Year 11 students began the day with an introduction to the university at Oriel College led by Emma Bausch, an Oxford outreach officer, and worked through some interesting course research and careers tasks, followed by lunch in the dining hall of the college. Amro then led a tour of Oxford landmarks – including the Bodleian Library and Radcliffe Camera, and the Sheldonian Theatre – before proudly showing the students around his own college, Trinity, with plenty of anecdotes and tips along the way. Sahar joined the group at this point to give her own perspective on studying at Oxford and advice about applying to the university. The students were able to ask questions throughout the day and gained a very vivid sense of what it would be like to study at Oxford. Indeed, the visit seemed to have a powerful effect on the students, with some declaring their intentions to get the necessary grades at GCSE and target this institution in the future. We wish them every success in their endeavours!